Journalist Chris Forrester has posted at Advanced TV an item that deals with OneWeb's wish to encircle the planet with around 900 smallish satellites to provide global broadband access — OneWeb wants to start launching its first satellites this winter, but a key part of its overall launch strategy is their use of Russian rockets. Russian news site Kommersant reports that Russia’s space agency Roscosmos is likely to lose their existing $1 billion launch contract, which covers 21 Soyuz rockets to be deployed between 2019-2021 from three launch sites: Baikonur (Kazakhstan), Vostochny (Russia) and Kourou (French Guiana). The problems have come about because of objections by Russia’s FSB (its Federal Security Service) which says the launches are a threat to Russian national security. Chris is additionally reporting that Arabsat has agreed a MoU with RigNet to provide data protection across its MENA satellite network. In the agreement, RigNet and Arabsat will target the immediate and growing cybersecurity threat of satellite eavesdropping and network data breaches. Arabsat will begin offering RigNet’s CyphreLink to provide military-grade encryption for location to location communications over satellite and terrestrial networks. The hardware-based encryption enables military-grade data security, with little to no overhead on the payload. CyphreLink prevents eavesdropping and potential data breaches. 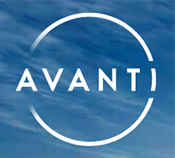 A third item of interest by Chris is that there are now Boardroom changes occurring at troubled satellite operator Avanti Communications. Andy Green, currently the senior independent director, will leave the Board on January 31, 2019. Paul Walsh (previously head of spirits business Diagio), and Avanti’s Chairman, will reportedly step down next year,and it is likely that he will be replaced by Alan Harper who was interim CEO and will now take on the role of deputy chairman. John Slamecka, the president of AT&T in Europe/MENA, will join Avanti’s Board.